Here’s cheers to 50 years of grape growing in the Padthaway region. The Padthaway wine region in South Australia’s Limestone Coast is celebrating 50 years of grape growing. A range of factors can lead to the establishment of a wine region, and scientific evidence often produces greater odds in the viticulture lottery. While Padthaway farmers had known it for generations, it was the CSIRO that first officially documented the potential of the district – a report produced in 1944 described the landscape approximately 50-kilometres north-west of Naracoorte as a “first class” site for garden soils. The ocean may be an hour’s drive away, but the unique terroir comprising brown sandy loam over red-brown clay over limestone can be traced back millions of years when the Naracoorte Range was an ancient coastal dune. and it’s not surprising that the big wine corporates caught wind of the area’s potential, planting the first grapes in the district in 1964. “It was serious investment; lots of research, equipment, innovation and knowledge was invested in Padthaway,” Sue says. In 1968, Thomas Hardy became the district’s second major player, and that same year, Lindemans planted the first vineyards north of the Keppoch Hall. Max Arney, who was the Lindemans Padthaway vineyard manager from 1981-84, says the site was chosen for its red brown Terra Rossa soil over limestone. The growing conditions of many Padthaway vineyards were maximised with a unique T-Trellis that splits the canopy crossways using a wire on either side of the post. The system enables good airflow through the canopy and allows sunshine to penetrate a more even fruit zone without over-exposure, leading to greater quality and consistency. The switch to machine pruning led to an increase in vine height, while changes in watering methods from flood irrigation to traveling and later drip irrigators further boosted fruit quality, with water usage dropping from around 5-6 megalitres per hectare to 1-2ML a hectare. While Padthaway chardonnay is still widely considered the flagship due to its strong varietal definition, the nineties passion for shiraz and cabernet saw grafting became a large focus. That same decade, there were also significant changes in ownership, with the larger companies stepping aside to make way for local farmers. Sam Ward is another farmer turned vigneron whose family settled in the Padthaway district in 1938. The Wards began converting paddocks to vineyards in in 1997, and now sell seven different varieties under contract. 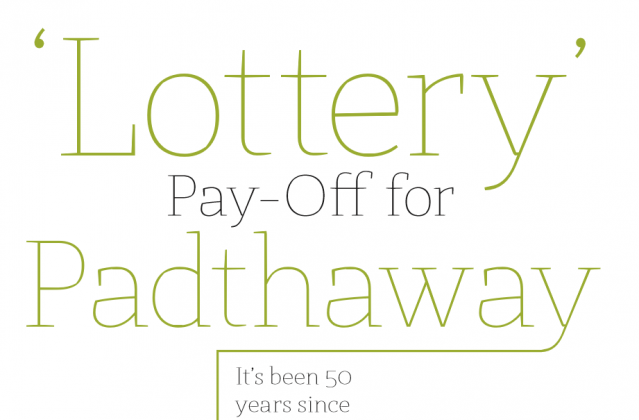 “It was an opportunistic time in the 1990s when a lot of others were getting into the vineyard business, and the friendly nature of the Padthaway community has meant that there have been some really strong support networks,” he says. Former Padthaway Estate winemaker, Pam Dunsford, reflects on the changing of the guard: “The corporates do bring a strength of technical knowledge and a strength in marketing and just a higher level of business guidance that helps small areas – there’s no doubt about that – but the individuals can show the courage that they may not be able to show if they were working for a corporate,” she says. Padthaway Estate is the home of the famed Eliza Sparkling range crafted with a classic French Champagne Coq press, and one of only two cellar doors in the district. Henry’s Drive Vignerons also welcomes visitors, and is proud of its ‘hidden gem’ status. “For us it was all about the commitment to the region; our wine is made off-site so I guess we needed a home for our wine brand, and somewhere that we could entertain our guests whether they be Australian or international,” says proprietor Kim Longbottom. Visitors praise the quality and value of the wines, but the growers believe that the region’s biggest strength is consistency. “It’s year in year out, producing really good quality fruit – you don’t get a huge amount of vintage variation, so as a wine producer, it makes it a whole lot easier,” says Kim. And although it’s already been 50 years, everyone agrees that it’s just the beginning in terms of potential. The Padthaway wine region was gazetted for GIC status on 29th September 1999. It is 62 km long and 8 km wide with the Riddoch Highway running through the middle. More than 4000 hectares is planted, and Shiraz and cabernet account for half of that. Chardonnay is another dominant variety, with smaller successful plantings of Riesling, Merlot, Sauvignon Blanc, Traminer, Pinot Noir, Viognier, Pinot Gris and Sangiovese.